We’re delighted to announce Seawalker Green Island will be officially joining the Quicksilver Group family from 29 March 2018. 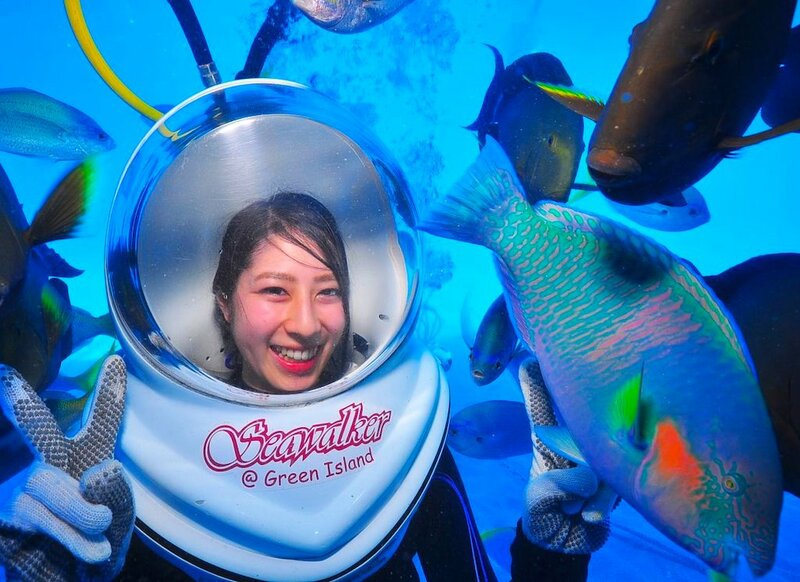 Tony Baker, Quicksilver Group Managing Director said, “The purchase of Seawalker Green Island includes the helmet diving operation which is an amazing underwater walking experience on the sea floor and Island Photography Australia. The purchase of Seawalker Green Island, an established local tourism operator is a great opportunity to bring together the helmet diving operation and our existing scuba diving activities at Green Island. Seawalker Green Island was established in 2003 and has conducted over 220,000 helmet dives during this time. Karl Kuhle, CEO of Seawalker Green Island said of the purchase, “We are extremely pleased the Quicksilver Group is the new owner. Seawalker Green Island is an established, well-respected, tourism award winning operation that has business links around the world. After 15 years it will be sad for me personally, but I know it will be in safe hands with Quicksilver who will further enhance the operation. I know our crew will embrace the new ownership along with our most famous employee, Gavin, the world-renowned photo bombing parrot fish who is also looking forward to joining the Quicksilver team”.